Consolidating core Literacy and Numeracy areas using the F-10 Curriculum). Additional support for students with diagnosed and undiagnosed learning difficulties. 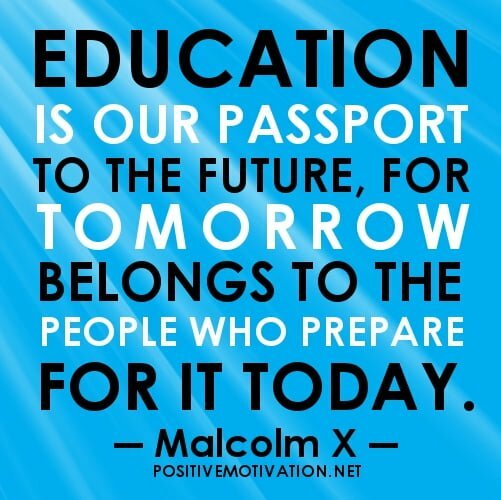 Providing tailored scholarship preparation for selective schools entry. Home-school Literacy and Numeracy support. So, you’ve made the decision to have your primary school student tutored with APTUTORING, and now you’re wondering how to encourage your child to get the best out of their sessions. Well, read on for our top 5 tips! We consulted the ‘experts’ on this topic, our awesome primary tutors — who else would have the best tips, right?! Having an early night the day before tuition will help them better concentrate after a full school day. Having a snack, drink & getting some fresh air outside before tuition starts will help with mental alertness. If your child has a session immediately upon arriving home from school or an extracurricular activity then we encourage them to have a snack and drink during their session! Ensuring they have located their tuition workbook/worksheets, pencil case and completed homework before their tutor arrives. 2. Encourage your child to complete any homework tasks set by their tutor. We don’t routinely set homework, opting for meaningful tasks that consolidate instead. These tasks help your child to process content between sessions so they get the most out of each session. 3. Help your child to stay engaged with their learning and tuition by incorporating learning into life. So, if you are having English tuition, try and read daily with your child to support their skills and instil a love of reading. If you are having Maths tuition, encourage your child to practice their timetables during the week to support their maths skills and number facts knowledge. Remember to keep it fun! 4. Encourage your child to take responsibility for their own learning from a young age by asking them to write down questions for their tutor before their session. They might have questions to help them with school work, or to clarify a topic from the previous session. It might be a question about their tuition homework. Encouraging your child to take this initiative will not only grow their confidence but help them to problem solve and think about what would be most helpful to them. 5. Stay Connected. Okay parents, this one is really for you! Be curious about what is working for your child in tuition and the strategies your tutor is using to help your child. Ask questions when you need to at the beginning of a session giving your child’s tutor time to respond accordingly. Communicate with your tutor and APTUTORING regarding sessions and your child’s progress. We are here to help and only a phone call (03 9707 2761) or email away (admin@aptutoring.com.au). So, there you have it, our Top 5 Tips to help your child get the best from their primary tuition! As always, comment below, drop us an email or connect with us via Facebook to let us know what you think about our blog and what you’d like to read about next. How do I get the best out of my tuition sessions? You may think this is a fairly straightforward question with a very obvious answer, right? Well, you may be surprised to know then, that in our 17 years of experience, we have found that a lot of students and even parents, are not quite sure how to make the most of their tuition sessions and knowledgeable tutor. Sometimes, between recognising that your child needs a tutor, contacting us, establishing tuition needs through our assessment process, and having a tutor attend your home can feel like you’re ‘turning up’ so to speak, and therefore your child can begin to absorb information and be ‘tutored’. But, we can suggest a couple of scenarios for you to ponder while we look particularly at two different ways to approach tuition in secondary levels (we will tackle primary levels in our next blog post!). Let’s take two students in year 10 English, for example, who have similar learning and tuition needs. We will call them Jack and Jill (yes, I have two little ones that are loving nursery rhymes at the moment so that’s what popped into my head first… hehehe). Jack and Jill have come to APTUTORING for additional English support, and they really want to focus on being better prepared for VCE English that is fast approaching them. Jill is organised for sessions with appropriate materials and when her tutor arrives she engages willingly. At times, Jill spends most of her session jumping from topic to topic trying to remember her ideas and what she needs help with. When she has a SAC due, Jill often realises last minute that she isn’t as prepared as she thought. Jill asked her tutor for a list of novels she could read to further her reading and responding skills. 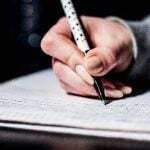 In addition, Jill needs to extend her knowledge of the themes in her key school English texts so her tutor gave her a list of practice essay questions to develop her understanding and further her skills in essay writing. Unfortunately, Jill has been unable to organise her time efficiently and isn’t engaging in writing practice essays for her school text or reading any additional novels. Sometimes Jill struggles to motivate herself and unfortunately she has come to rely on tuition to be her main motivator. Lastly, Jill has a tendency to be passive during tuition. She does ask questions occasionally but she lacks the motivation and initiative to think deeper and more critically about the information provided to her. Before Jack’s tutor attends his home he reviews his class work to get a bigger picture of what he has learnt that week in class and what areas he has struggled with. Sometimes that is an assessment task/SAC, a question about the study text, a question or a point his teacher has raised that he hasn’t had time to clarify in class. Jack has a good understanding of what he needs from each tuition session to be able to work through his class work and develop his skills further. During the assessment stage, Jack expressed a willingness to read a variety of supplementary novels to expose him to different genres of writing and extend his essay writing skills. Jack was given a list of possible essay questions for his chosen texts and encouraged to submit practice essay responses to which he would be provided feedback and further direction. Jack organised himself so that on weekends he could read some of the chosen texts. Afterwards he worked with his tutor to develop his critical thinking and responses in essay format. Jack often initiated further study on textual themes, independent of his tutors set tasks and was able to formulate thoughtful questions to discuss with his tutor, further developing his knowledge of the texts. How to get the best out of your tuition sessions? Be prepared —obviously have all your information with you (eg. SAC dates/details, all study texts and novels, any additional work you have completed during the week). Also, be like Jack and review your week before your tutor arrives. Have a good idea of what you would like to work on with your tutor based on what you found challenging during the week. Ask questions — not only does your tutor welcome your questions but they will also encourage you to think critically not just accept ideas at face value without challenge. This is a key step in developing critical thinking skills to enable you to respond to texts with depth in your analysis. Communicate with your tutor — had a challenging or busy week at school and you couldn’t get through supplementary set work? Talk to your tutor and use your initiative to review goals and organisation skills to better assist you in completing set tasks. Remember, teachers are human too, and they definitely understand the pressures of school life. Maybe they can suggest a strategy that you may have overlooked? Take initiative with tuition and your learning —what do I mean? Well, take ownership over your own learning. Be the driver in achieving your learning goals and don’t wait for your tutor to always set tasks for you or tell you what to do. Complete practice questions and review notes —going over your class work and tuition notes from the previous session before your tutor arrives will really help you keep track of areas of study you are understanding and reveal where more work may be required. Only absorb information at face value without challenging content with further questions. Suffer in silence. APTUTORING tutors are extraordinary people but they’re not mind readers. If you’re not understanding something, ask a question! If you’re struggling with organisation, motivation or workload… speak up! Tutors are human with a lot of useful life experience and suggestions that might help! Sail through tuition as a passenger! To get all the benefits from tuition you need to participate, show initiative and take ownership over your learning. Expect your brain to remember everything you worked on in previous sessions without giving it a helping hand! Regular reviews and study before seeing your tutor will help consolidate your knowledge and allow tuition to move you towards achieving your learning goals. Cancel your sessions regularly! (Obviously we are not talking about ill health here or circumstances out of your control). Having one hour a week with your tutor is a drop in the ocean in comparison to school time. It’s 60 minutes to cover a lot of curriculum and answer questions. If you cancel regularly, you will find that tuition becomes a catch-up game and not much time is left to cover areas in the depth and detail you need. So, as you can see, getting the most out of tuition, especially in secondary levels, involves so much more than just being ‘tutored’ or ‘taught’. We hope it’s given you some food for thought and some ideas to discuss with your secondary school aged child. Stay tuned for our next blog where we look at tuition in primary years and ways you can support your child to get the most from their tuition experience and their tutor! Like what you’ve read? Have suggestions for future blogs? We would love to hear from you so, write a comment below, connect with us on Facebook at www.facebook.com/APTUTORING, or email us info@aptutoring.com.au. Welcome back to the next instalment in bringing to you a snapshot of the faces and many talents that make APTUTORING such a professional and individually tailored tuition service. 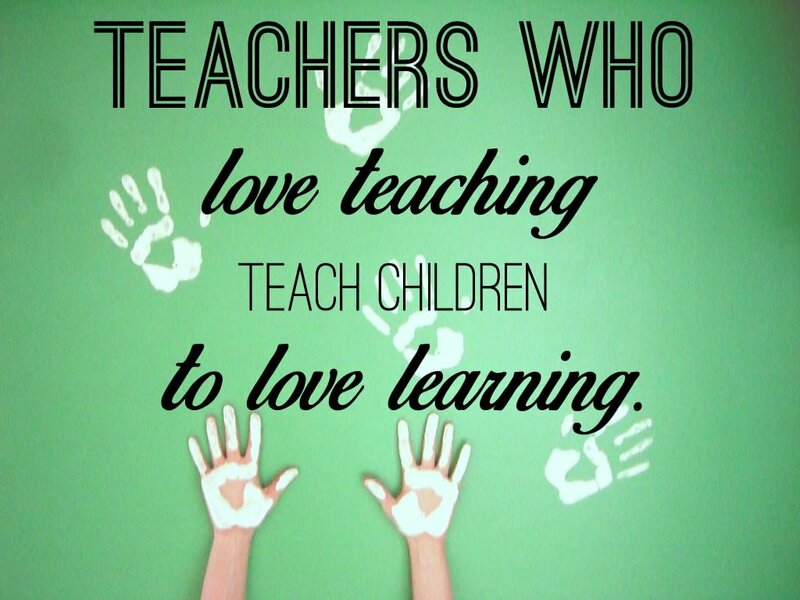 To really love teaching, to embody passion, commitment, dedication and drive is ultimately infectious. When teaching is carried out in a manner that is supportive and focused on meeting students needs, then an amazing love of learning can ensue in a child. We value great teachers. Not just teachers who know their stuff (clearly that’s pretty important), but teachers who can effectively reach their students. Teachers that can not only impart their messages but also plant the seeds for further learning and growth. 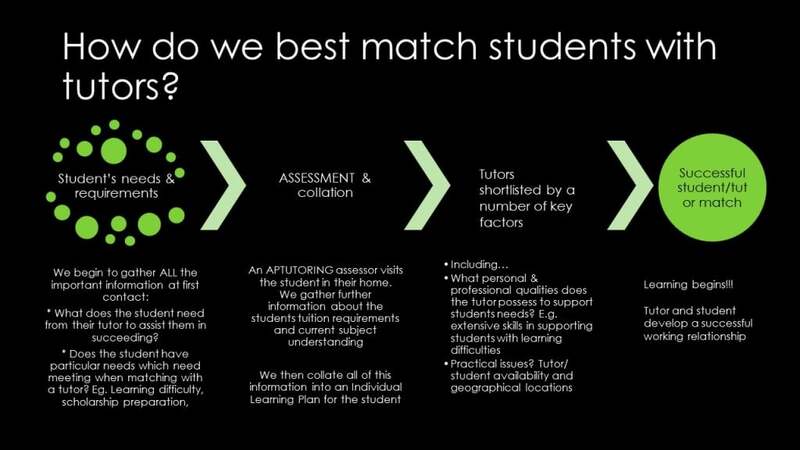 So why does APTUTORING only employ teachers as tutors? Well, because the teachers that we engage love teaching, and in turn, the ability to teach a love of learning to their students can become a natural inevitable result of their work. All of our exceptional teachers embody a passion for teaching, they give a minimum commitment to APTUTORING to encourage a long term tutor/student working relationship, they have relatable personal skills and bucket loads of patience. Every teacher on our team has experience in working with students at varying stages of learning including those with diagnosed and undiagnosed learning difficulties right through to students undertaking accelerated learning programs. When we select teachers from our many applicants we actually do background and professional reference checks. So, when we send you a high quality and friendly tutor, you welcome into your home a professional Victorian Institute of Teaching teacher who as a result also comes with a Working With Children Check too. …I told you they were a talented bunch, didn’t I?!? As a parent, you can rest assured that our tutors not only have a handle on the curriculum content to support your child’s learning but also are well skilled in teaching core areas of study. If your child is falling behind in the curriculum at school, you can be certain that APTUTORING tutors are both capable and confident in bridging your child’s gaps in knowledge and even consolidating them further. So, there you have it. A profile of our awesome tutors and a quick rundown of just how that wonderful tutor is selected to support your child in their education needs. Have brilliant suggestions for future blog topics? Then connect with us via email or Facebook, or contact us today… we would love to hear from you!!! !